Academics and sports are compatible and complementary in realising every child’s full potential. 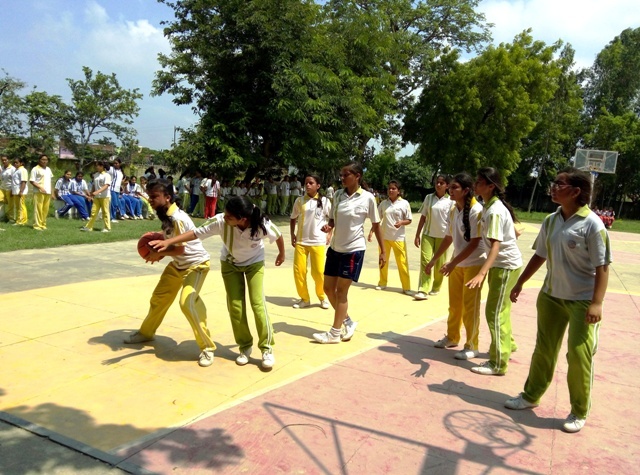 Activity on the playfield develops the qualities of team work, leadership, dedication, discipline, self-confidence and self-esteem.The campus has a sprawling four acre playground with facilities for various outdoor sports including soccer, hockey, volleyball, basketball, cricket, kho-kho and field and track events. The multitude of choices available and the large number of students that can utilise these facilities simultaneously ensure that all students have an opportunity to engage in a sport of their choice and lead healthy lives.